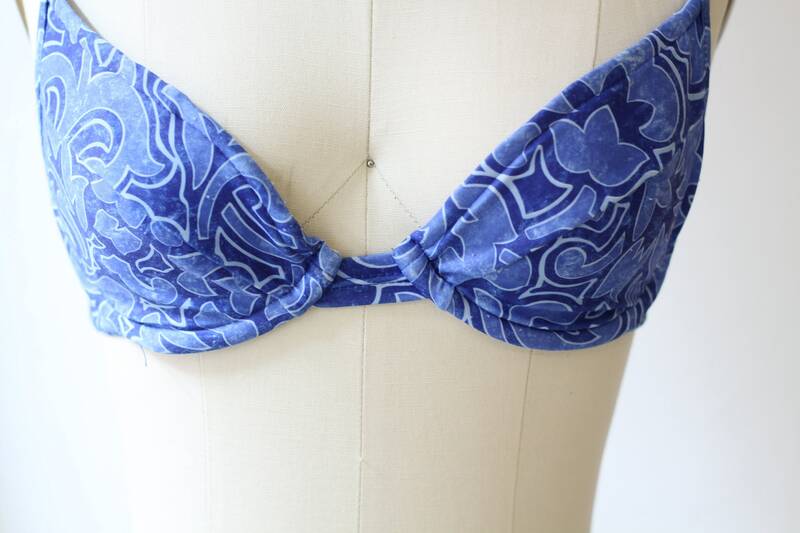 An absolutely perfect 1980s bikini top with underwire. 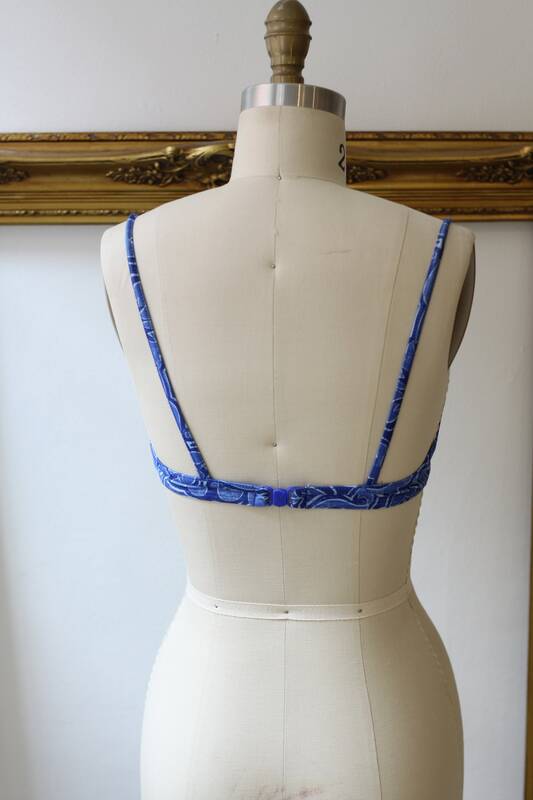 Light and dark blue floral pattern scattered throughout the fabric. This bikini top would be quite revealing. Plastic latch closure at the back of the top.